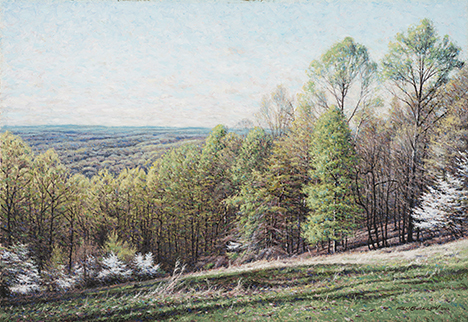 oil on canvas, 24" x 16"
Early Spring along the high ridge top of Indiana’s largest State Park, near Nashville, Indiana. The Dogwoods are in full bloom leading to the view of the distant hills. Published December 9, 2013 at 468 × 322 in Main Gallery.